‘Townhall’ closed to the public? We understand that Max Baucus was at the Conoco Phillips Refinery in Billings, MT to present a special plaque thanking employees of the refinery for their generous withdrawal of nearly 200,000 BLM leases in the Flathead area. We had a team of quick response tea party members there to attempt to get a minute of his time. He did not even wave when he raced by in his gas guzzling SUV. It sure appeared that he gave us the middle finger but because of the distance we couldn’t get a perfect picture for proof. He drove into secure area at Conoco refinery and rushed into the building followed by his entourage of security and secretaries. As he crossed over an open area we again tried to get his attention only to be shunned. After an hour in meetings with no so interested Conoco employees, he came out to his getaway car which was moved by his driver from front entrance to near the meeting place. I wonder if that was due to our presence hear his car at the front gate of the refinery? He really didn’t want to talk to us that was for sure. After entering the car, they apparently opened other gates and drove through the labyrinth of exits to escape our view. I sure am glad that Max talks to all Montanans. KULR8 and KTVQ2 were also there. Guess we scared them as well as they trained their eyes ahead and never acknowledged us. Shame on them…especially since they wre both the specific reporters that we helped get a private interview with county singer Aaron Tippin while he was in town. Shame on you for only reporting one side of the story. We will certainly not be giving them a helping hand in the future. Ouch, and I thought they were my friends. And finally, when we approached the gate guard provided by Securitas upon first arrival, we inquired about standing on the sidewalk. 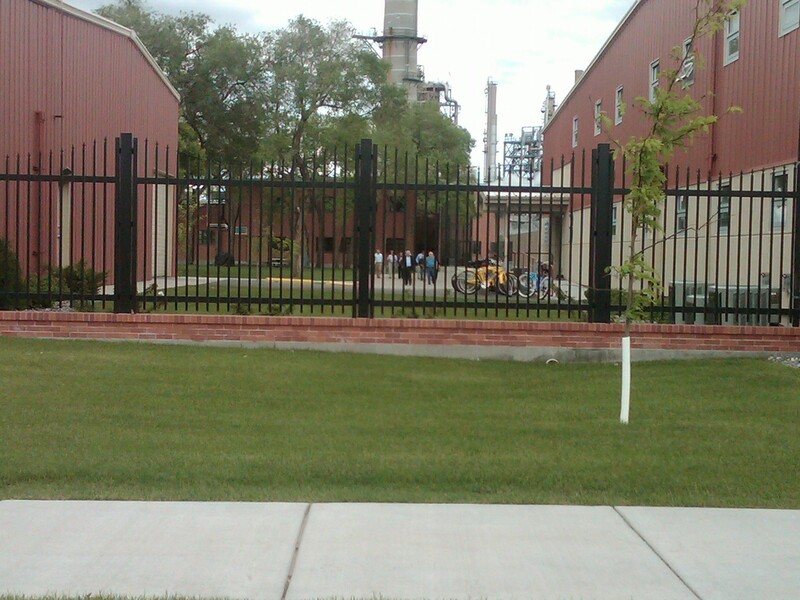 He called into the refinery and they said the sidewalk was private property….hmmmmmmmmmmmm. So we protested on street for a bit. After checking the records at the city, we determined that the sidewalk was in fact public. Hence, I addressed our concerns with the guard, explaining to him that our sources said the sidewalk was public. I asked for name of superior that he was talking with. After he called up, they told him that it was public and we could rally on it. Oh really, sir, that is curious, I said, as I gathered crowd onto sidewalk. Shame on Conoco for lying, eh? 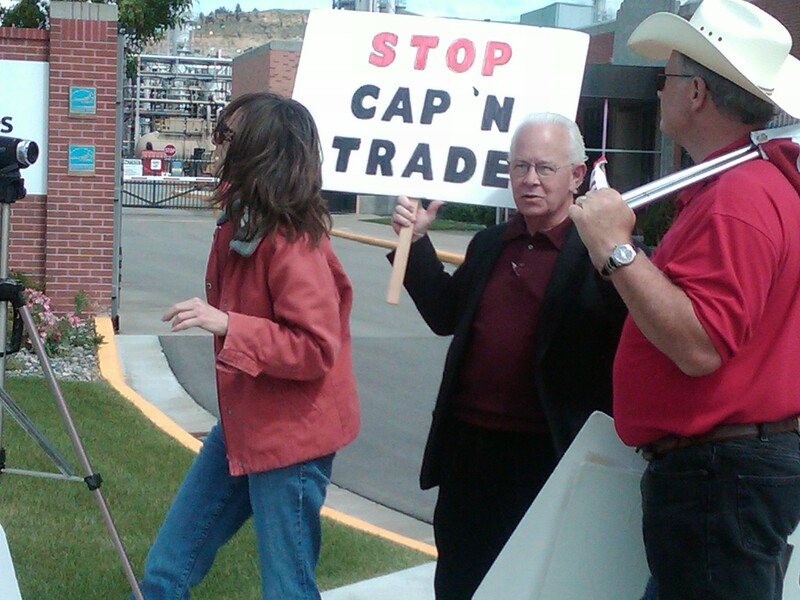 Shame on Baucus for having closed town halls. Educated a few curious employees from Jones trucking as to what the tea party was up to. Got rally orders from them. Educated a few refinery employees as well. One even offered his security card to get in to the meeting. Of course, we declined as we did not want to endanger his job. This entry was posted on Sunday, June 13th, 2010 at 8:47 am	and tagged with axe max, constitution, liberty, limited government freedom, max baucus, montana, rally, republican party, tea party, tea party patriots, washington dc and posted in Local Issues. You can follow any responses to this entry through the RSS 2.0 feed. Maximus Glutmos Backstabber if afraid of We The People.